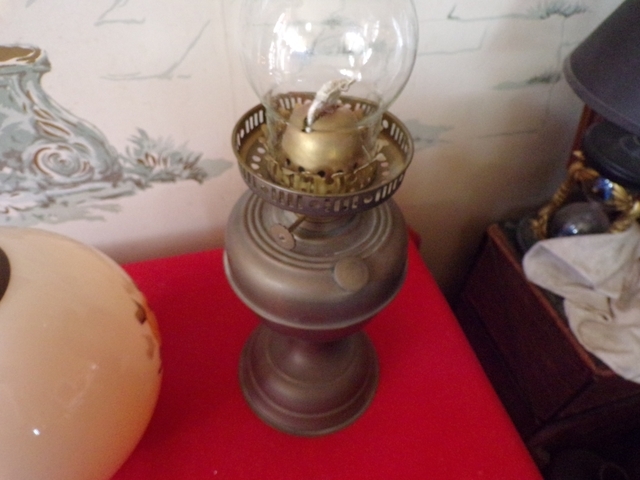 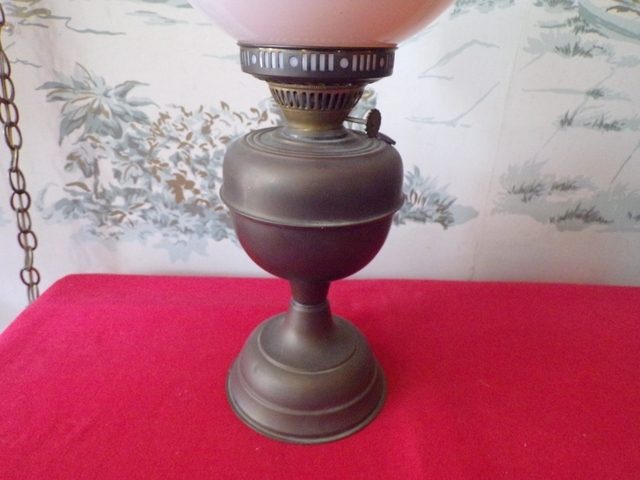 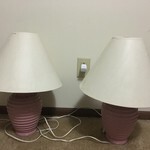 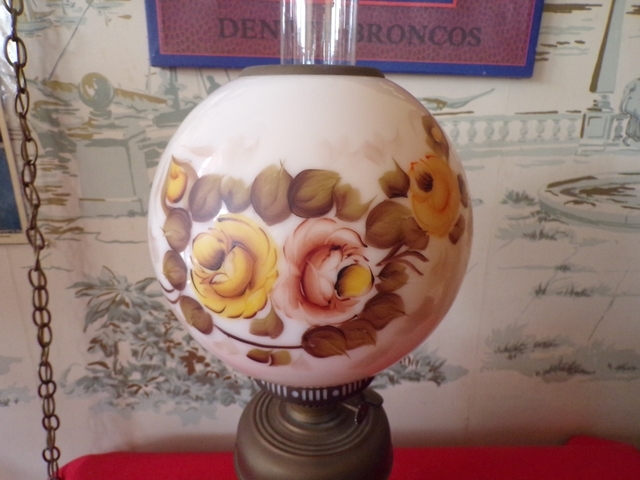 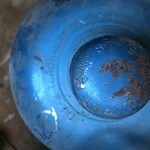 Selling a Vintage/Antique Kerosene/oil table lamp. 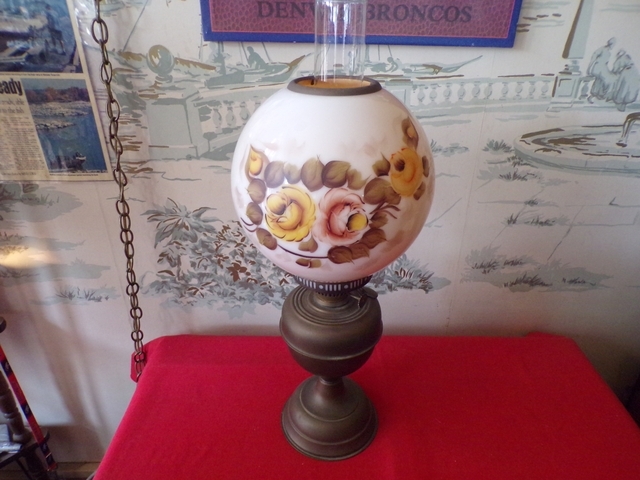 Includes chimney and beautiful painted globe. 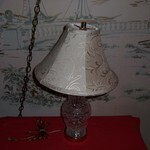 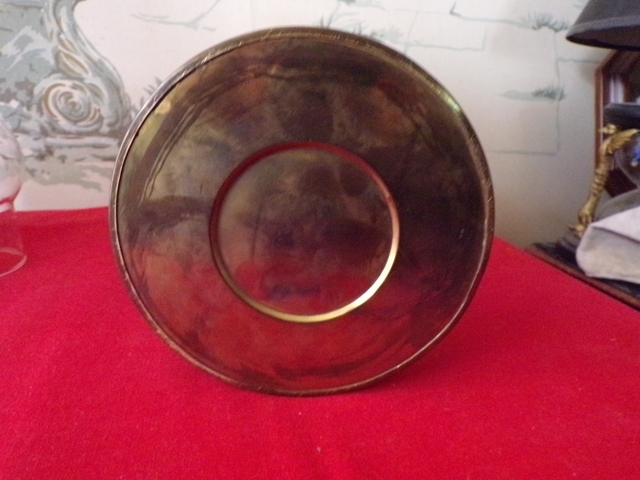 Measures approx 24" tall. 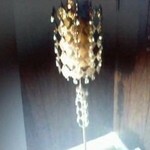 Wick is unused.